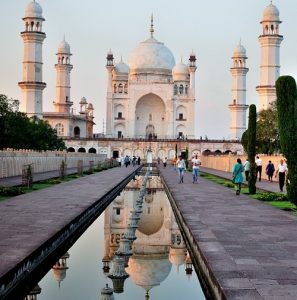 By and large the Foreign tourists visit India to see the beauty of “Taj”adhi the dream in marble, to experience the world of Lord-Budha and to speak to the colors sculptures of Ellora- Ajanta and Ellora are the creations of the dedicated artists of the by-gone days of this region. Besides the groups of the heritage caves there are large number of caves of equisite beauty at Pitalkhora, the earliest rock-cut-temples of Western India, at Ghototkacha in the panoramic gourge of Jajla hills and at Aurangabad the sculptural beauty of which is unmatched, on the periphery of the city itself. Besides these cave temples the district is handsomely adorned other heritage objects such as, the ancient city of Pratisthan ( Paithan) famous for exuberant Paithani sarees, the abode and saint Eknath and also known for the wood-work of the Peshwa period, Elopur the house of Ghrushneswara one of the twelve Jyotirlingas of India and also the “Gadhi” of the Bhosales, the ancestors of Chhatrapati the architect of Hindavi Rajya, the impregnable fort of Devgiri- Daulatabad, Khultabad the seat of the Sufis and the Roza of the Aurangzeb in the midst his close relatives and preceptor. Besides these there are large number of historical manora and mansions, tombs and maqbaras, Hammamas and gardens, temples and monastores. Prominent among them are Bibi-ka-Maqbara, the tomb of Rabia-Ud Baurchi alias Dilres-Banu- Begam the wife of Aurangzeb also known as Mini Taj, Soneri-Mahal, the Haveli constructed by Pahadsing a noble of orchha, Navkhanda palace, erected by Malik Ambar the prime-minister of Nizamshahi of Ahmednagar who enhanced the status of the city from Khadki a small hamlet to Fateh-Nagar the then capital of Nizamshahi Kingdom, Kile Arq the palace of Aurangzeb, the 52 towering gates interspersed in the fortification wall of the city mainly constructed by Aurangzeb during his over-stay in the Deccan, Pan-Chakki, the water-mill constructed by a sufi-saint a marvel Feet in hydrology. The district has a long and undeterred history since the Jatava-period to the present day. During the early phase of ancient period it was governed by number of tribes. This tribal units were united during the prolonged rule of the Satevahana or Shalivahana (230 B.C. to 230 A.D.). The sober history of this region begins with “Satavahanas”. Their rule witnessed the era of peace and prosperity and hence the district of Aurangabad then centered around Pratishthan the capital of the Satvahanas for centuries together, became the hub of socio-cultural activities of the Deccan. The Satvahanas gave incentive to trade and commerce and monopolised the Greeco-Roman markets as far textile goods namely Paithani the high-class silken sarees of Paithan is concerned. Besides to textile they established hegemony in the trade of spice curirsivory etc. Out of which they accrued huge profits which is evident through the material remains of their period Day scattered all over Western India including Maharashtra as they were the lords of the territory between Narmada to Cavery. In the intervening years the region began to flourish as it was situated on the earvan routes introduced by the Satvahanas long-back . The capital Prastishan was linked with the above routes, along with ports and harbors on one hand and Land-emporeas like Sarsvati, Patliputra, Avanti, Takshashila etc. on the other. During the early centuries of the Christian ere the regions of the commercial were in the hands of Buddhist community hence large number of Buddhist caves were excavated along these trade routes i.e. 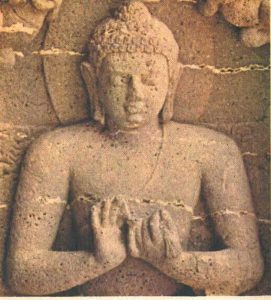 ancient “Sarthavaha” Path- Later on Jain and Brahmanical caves were also excavated on par with Buddhist caves- Ellora is the best example of the caves of all the above mentioned faiths. Caves not only provide residence to the roaming ascetics during the rainy season ( Varsha – Vasa) but also promote the cause of their faith. They also attract experts in the field of trade-commerce-agriculture medicine etc. They also served as a education centers devoted to the cause of cultural synthesis and integrity of the stage. Mainly the caves are of two types “Chaityas” i.e. prayer halls and viharas i.e. residential units. 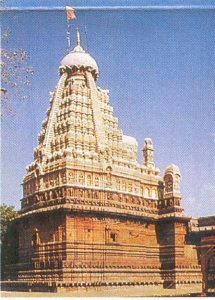 They were functioning till the end of 13th Century A.D.
Yadava rule witnessed the second era of prospering as far as this District is concerned. Devgiri was their capital where they erected huge fort which is also one of the tourist destiny of the younger generation. However, their fall was unexpected and untimely. The invasion of Allauddin Khilaji changed the fact of the Deccan. Immediately this district was exposed to the successive muslim rule. Prominent among them were the Tughluqs, The Nizams of Ahmednagar, the Mughals and the Nizams of Hyderabad. 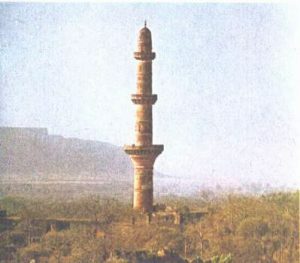 Mohammad Tughluq tried to shift his capital from Delhi to Daulatabad- For that he tried to raise the infrastructure of Daulatabad. However, under some geographical constrend he changed his mind and fate of Daulatabad was sealed forever. From the above narration it is clear that since the earliest times this district played a vital role in shaping the history and culture of the region. It was the centre of intense socio-political activities, the Set of learning, the seat of religious movements. During its long and undeterred course of history it has contributed in the filed of art, architecture, sculpture, paintings, dress and ornaments, food dishes and language etc. 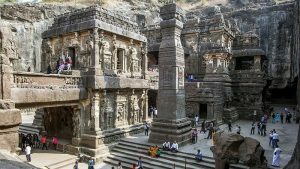 Centers like Paithan, Devgiri, Aurangabad, Ajanta, Ellora attracted large number of saints, poets, men and literature and artisans from all over the country. Hence, it remained a meeting place of different life-styles including faiths. Therefore the district holds the visitors spellbound with its ancient and medieval charms.